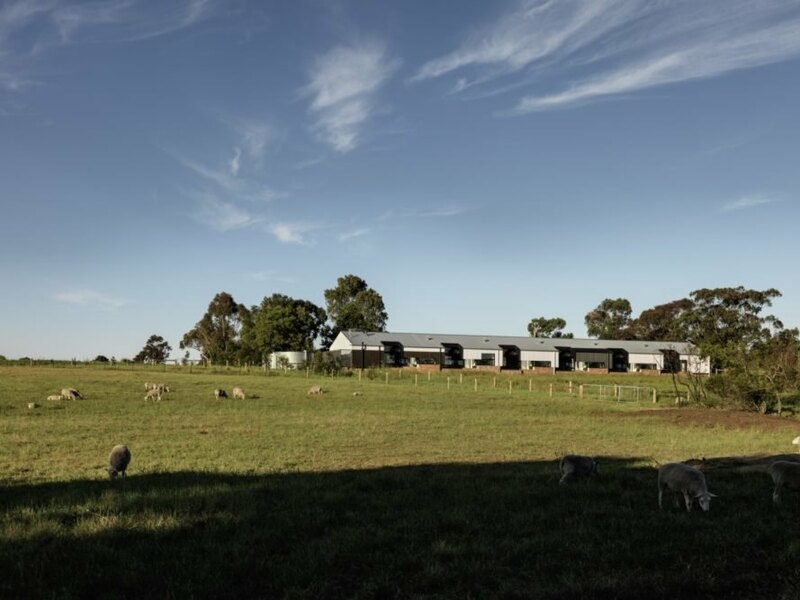 Sustainability is woven throughout Brae, a renowned restaurant and retreat nestled on a hillside of a 30-acre organic farm in rural Australia. 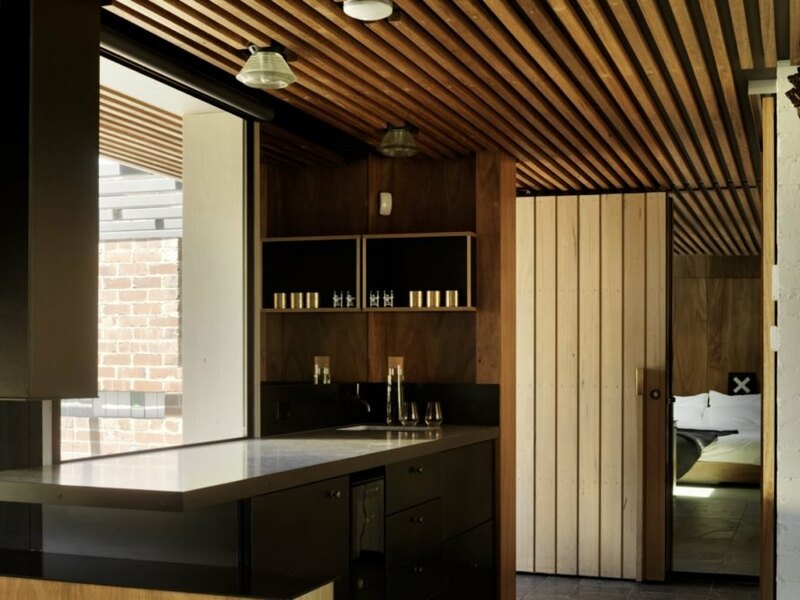 Designed by Fitzroy-based studio Six Degrees Architects, Brae is best known for its seasonally inspired menu and talented chefs — the restaurant was named among the world’s 50 best restaurants in 2017 — and the idyllic establishment also boasts six eco-friendly guest suites designed to target net-zero energy consumption. Durable and recycled materials are used throughout the handcrafted buildings, which are powered with solar energy and use recycled rainwater. After Six Degree Architects completed Brae in 2013, the firm revisited the site to add a new accommodation building that would emphasize the restaurant’s commitment to sustainability and seasonality. 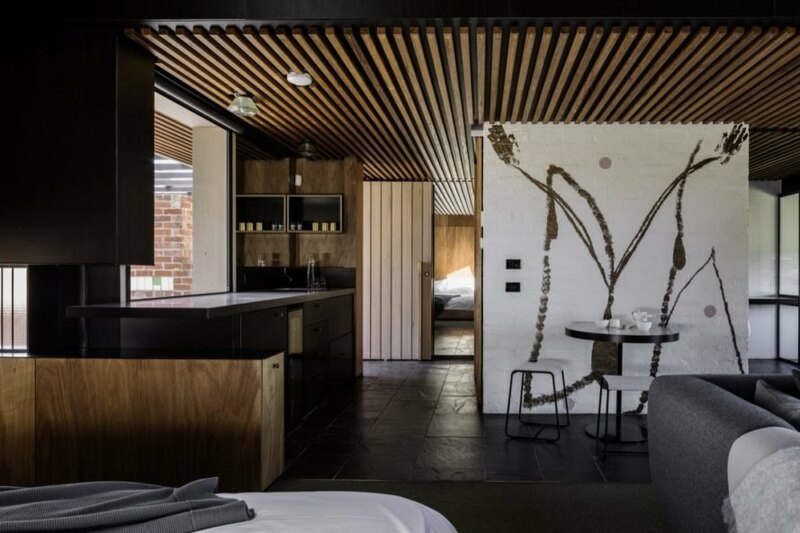 Completed in 2016, the six guest suites are housed in a structure referencing the archetypal utilitarian rural shed and built with simple and robust materials including recycled timber and brickwork, raw steel and brass. Local builders and tradesmen built the project, and the guest suites are carefully fitted out with bespoke, engaging objects to make each room feel homey and welcoming. 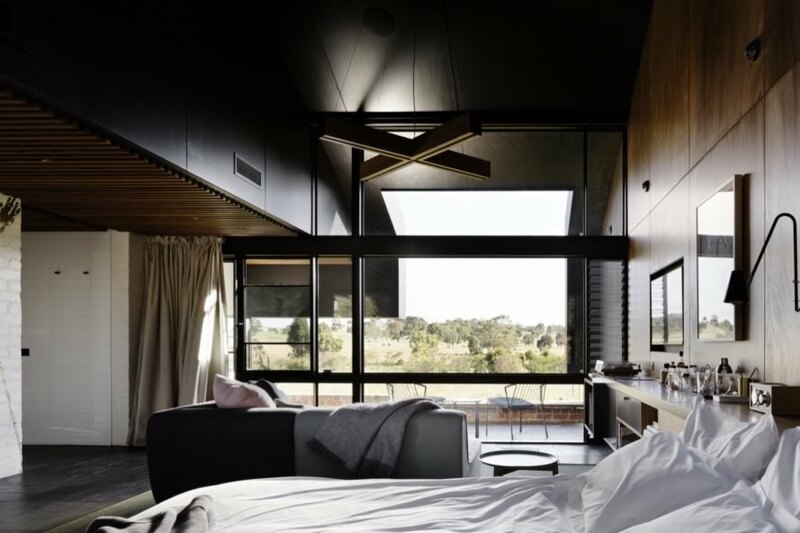 The guest suites are oriented for south-facing views of the landscape, while a landscaped berm to the north protects the building from view of the carpark. To achieve net-zero energy use during operation, the project is equipped with 48 solar panels that generate a daily average of nearly 44 kWh. Rainwater is harvested in two 40,000-liter tanks and reused for drinking and washing. Waste is broken down in a large worm farm. Thanks to these systems and passive thermal design, the 500-square-meter Brae guest suites have achieved a NatHERS energy rating of 7 stars. 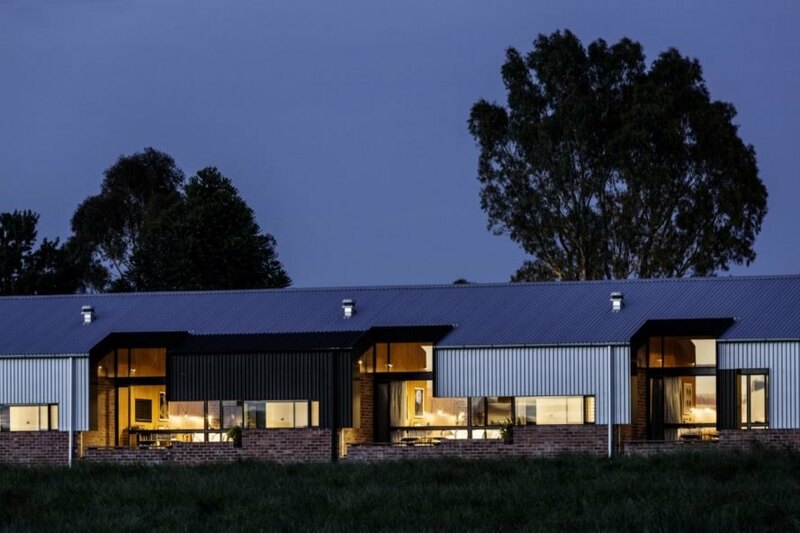 Six Degree Architects designed this restaurant and retreat in rural Australia. The restaurant and retreat sits on a 30-acre organic farm. Brae is internationally known for its seasonal menu. The architects added guest suites to the site for those who wish to stay awhile. The suites target net-zero energy consumption. Recycled timber is predominately used in the suites. 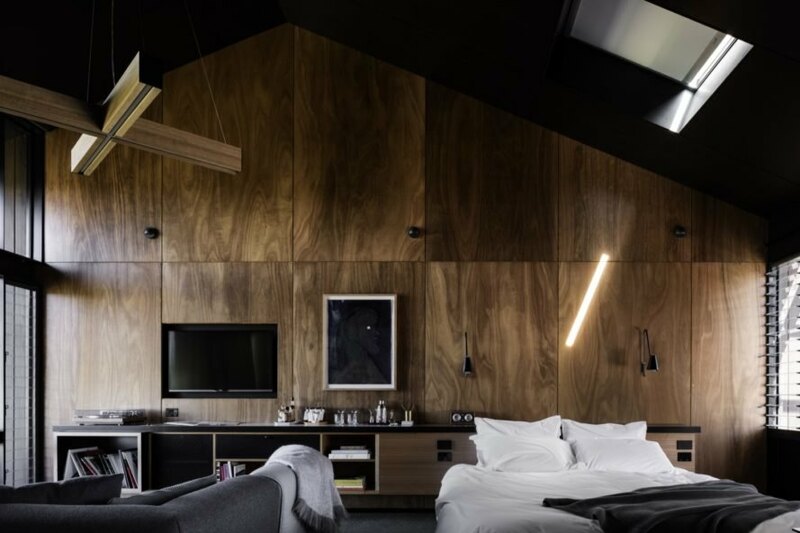 Dark wood interiors create a cozy feel. The suites are powered by 48 solar panels. Stunning farm views are emphasized throughout the retreats. The restaurant frequently uses produced sourced on site. The design references traditional rural architecture.